​The International Meetings should serve as a forum to discuss and academically research controversial aspects related to the Order’s history. The participation of early career scholars and postgraduate research researchers is positively encouraged. on the 24-26th October 2019. Mind the Gap? 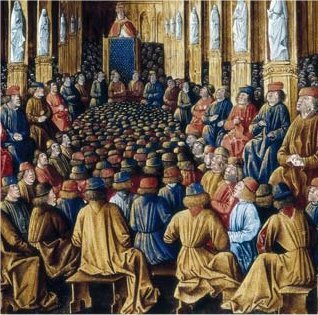 Papal Bulls and statutes that determine the continuation of the Order of Saint Lazarus of Jerusalem. The Fratres Hospitalis S. Lazari in Regnum Sicliae. The interconfessional nature of the Order of Saint Lazarus and its configuration as a lateral body of the international ecumenical Christian institutions.